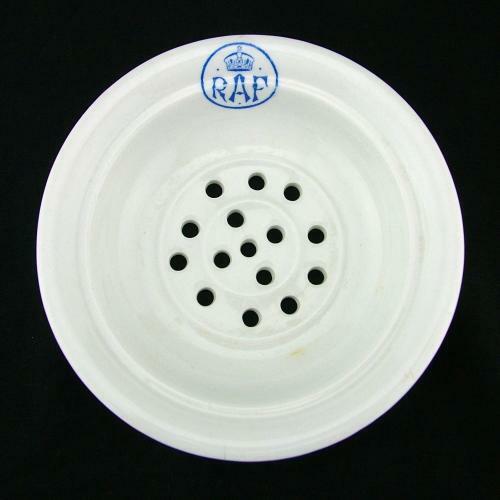 White ceramic soap dish approximately 13cm diameter and 2.7cm deep. The base is pierced with a series of holes to allow water to drain though. Marked on the rim with 'R.A.F.' and King's crown within a blue circle. Shows light wear with a crackled glaze and small hairline crack but in good condition and perfectly useable. A rare find. As used on wartime RAF bases. Stock code C21619.